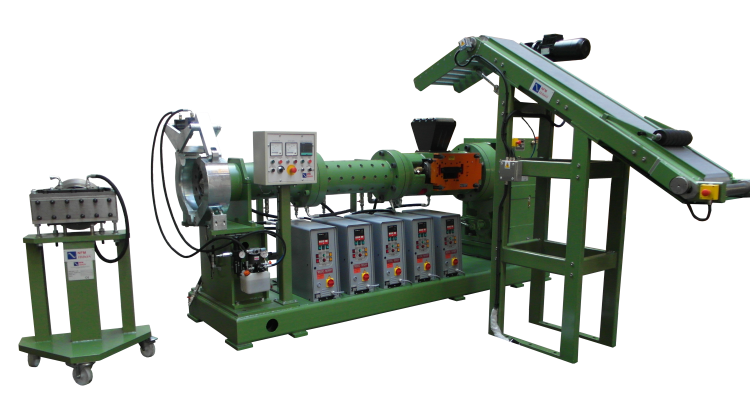 TEM Series high torque, high speed, co-rotating twin-screw extruders are utilized in countless applications worldwide. Engineered to perform and built to last, NFM offers value solutions designed to both optimize your extrusion performance and deliver long term cost benefits. NFM provides turnkey solutions to meet your polymer processing needs. Our team of Mechanical, Electrical and Control Engineers provide full solutions for plastic and rubber extrusion applications. NFM's HRX-II-P Series ofers an innovative modular door design for improved feeding of compounds, power feed-roll door assemblies and quick die clamping systems for easy access and optimal productivity. 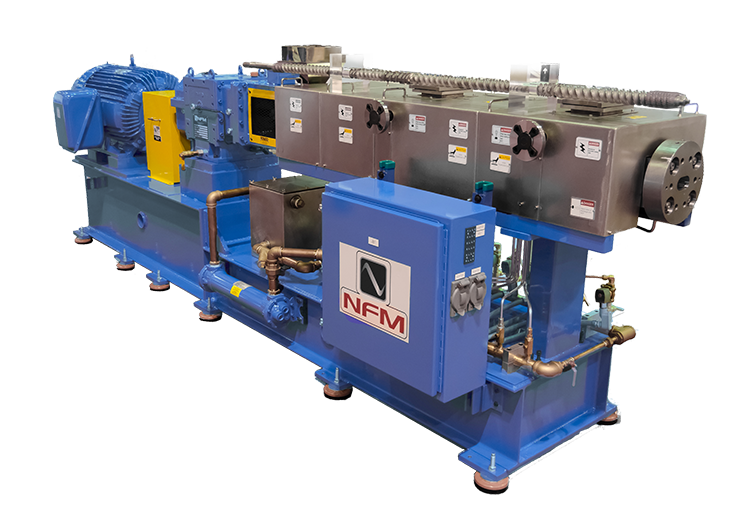 NFM takes great pride in maintaining any extrusion equipment, regardless of OEM. Our years of experience rebuilding and manufacturing new gearboxes has given us the capabilities to support any make and model. 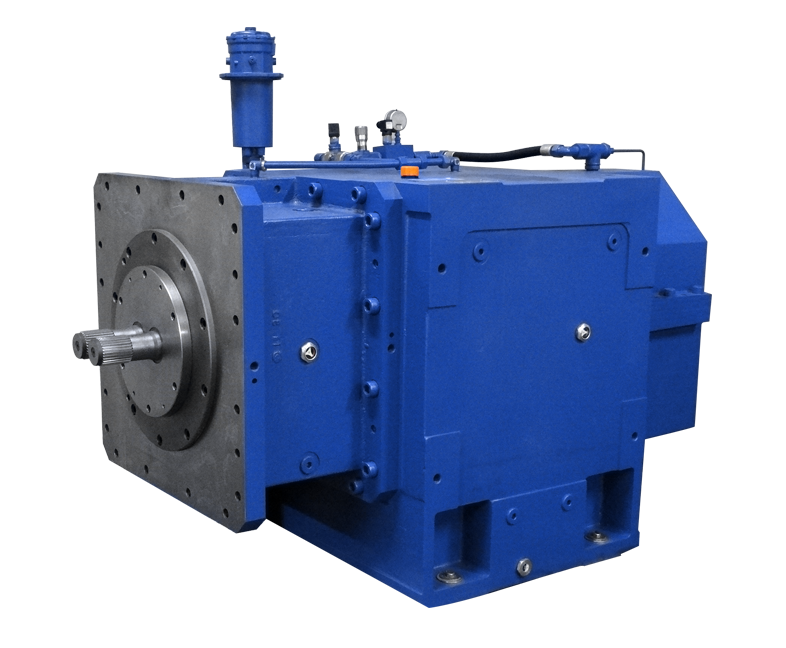 Manufactured in Massillon, Ohio – NFM / Welding Engineers, Inc. TEM Series co-rotating twin-screw extruders provide the most reliable extrusion performance on the market. NFM’s extrusion technology, craftsmanship and customization are designed to optimize you productivity and profitability. NFM / Welding Engineers, Inc. is an industry leader in engineering and manufacturing polymer processing & extrusion systems.  We provide the most reliable products, systems, service, and support tailored to optimize your extrusion performance and deliver long term cost benefits. For us, success is measured by our customers’ ability to dependably produce quality products. Manufactured in Massillon, Ohio – NFM / Welding Engineers, inc. offers the highest quality in extrusion equipment designed to maximize your performance and dependability. Produced in-house to their original specifications, NFM / Welding Engineers, Inc. has been producing spare and replacement extruder parts for major Rubber and Plastic OEMs for over 40 years. We take great pride in maintaining your extrusion equipment, regardless of OEM. 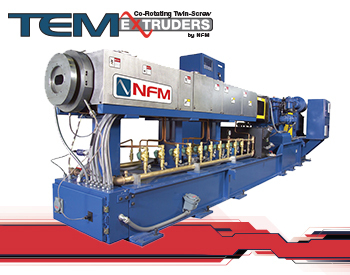 NFM is capable of refurbishing and rebuilding any make and model of extruder. Be it regularly scheduled maintenance or emergency service; count on NFM’s technicians to get you up and running, and keeping you there. NFM Welding Engineers is a leader in the design and manufacturing of rubber and plastic extruders. Under exclusive license by Toshiba Machine Japan, NFM offers world renowned co-rotating, twin-screw extruder technology. 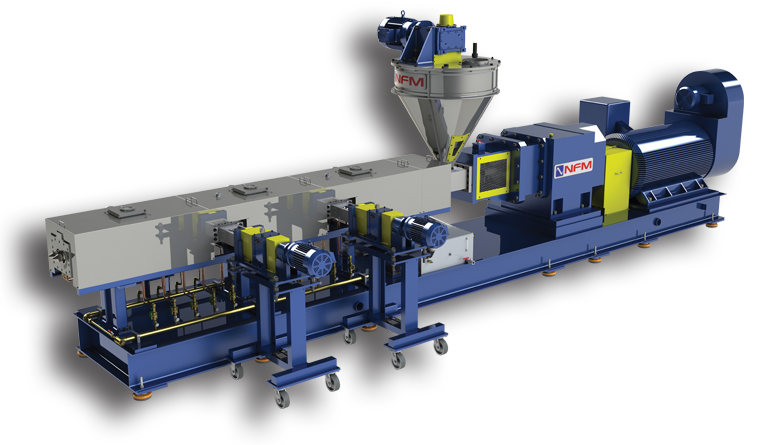 Manufactured in Massillon, Ohio, the TEM Series offers customizable design with a large range of sizes from 26mm lab extruders to 240mm diameter production lines. 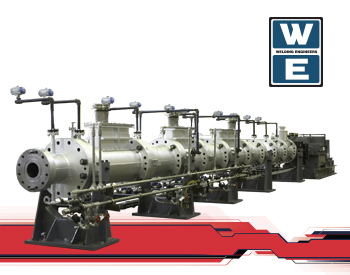 The unique features of the WE Series counter-rotating, non-intermeshing design creates the highest free volume and the lowest shear of any twin-screw extrusion process. 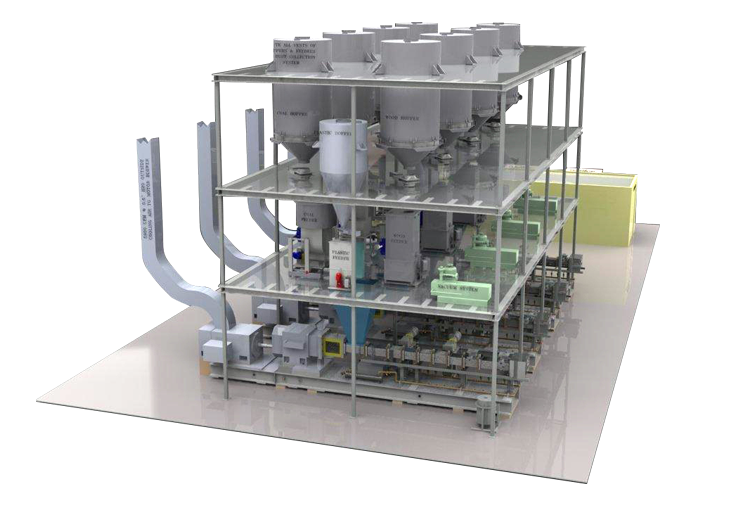 WE Series extruders accommodate a wide variety of applications and a broad base of polymers. 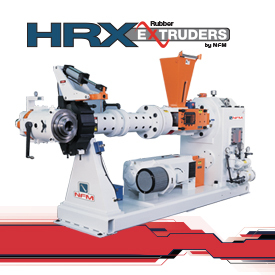 NFM’s HRX Series of rubber extruders are offered in both Pin-Barrel and Smooth-Bore designs. Based on a modular design concept, various features such as modular feed doors, variable speed feed roll assemblies, and venting provide a full array of options to tailor your extruder to your application. 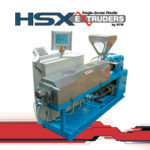 HSX Series single screw plastic extruders include both standard and vented production systems ranging in sizes from 45mm to 250mm diameter. 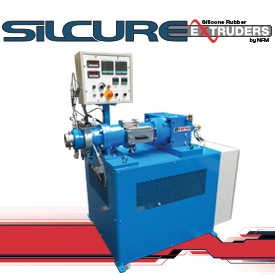 NFM’s Silcure technology provides optimum process efficiency and control in silicone extrusion. Systems feature NFM’s infrared or radiant “Hot Boxes” and Extension Tunnels. … and our subsidiaries have been defining polymer extrusion technology and providing the highest quality polymer processing equipment to the global market since the late 1800’s. Built on a strong foundation of engineering and craftsmanship, NFM is trusted world-wide for providing reliable Extrusion Systems and Solutions.